Make sure you are well informed even before entering training courses with this official American Red Cross Lifeguarding Manual. Designed to simplify learning, the participants manual reinforces key points from the course. 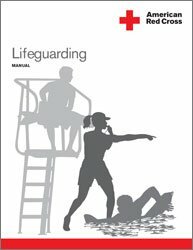 The manual can also be used as a reference for working lifeguards after the course. Reflects the latest ECC science and findings from the 2011 U.S. Lifeguard Standards Coalition Report. This is a must read if you want to have a full understanding of what is involved in open water lifesaving. This is the official manual of the United States Lifesaving Association. 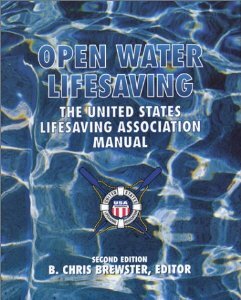 This manual is a comprehensive training and reference text for open water lifesaving. It is required for all training programs conducted in accordance with USLA Lifeguard Agency Certification Program. Learning aids are provided throughout including references, web sites, and discussion points. New material has been added in several areas, such as aquatic life hazards (shark bites and jellyfish stings), ice rescue, pathophysiology of drowning and sudden immersion syndrome, and junior lifeguard programs. Expanded and updated coverage of OSHA regulations, report forms, incident command, historical material and many other areas have been added to this extensive revision. Make sure you are heard. With this official Lifeguard whistle. 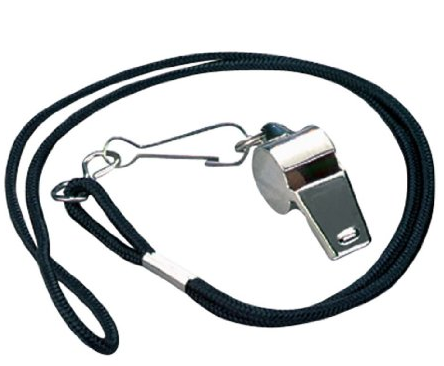 A whistle is a crucial article of a lifeguards tools. This distinctive sound is recognized by almost everyone and gets the attention of the surrounding public. A whistles tone and frequency is designed for maximum penetration through other ambient noises. Loud 120 Decibel sound gets the attention in noisy environments. 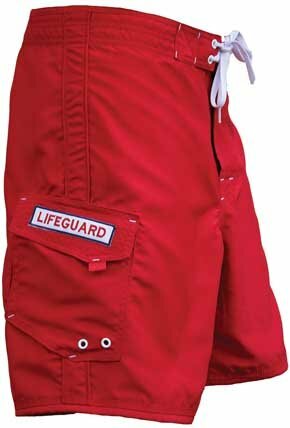 Here you can represent your field with a mens board short style red Lifeguard Swimsuit. Hawaii’s Lifeguard Shorts! Reinforced waistband and pocket to handle radios, phones etc. 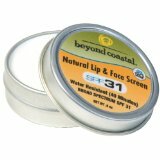 Perfect for on duty or just having a day at the beach or anywhere in the sun. All you women out there make sure your suit is made to fit for any situation. Lifeguard swimsuits for women range in many different styles and sizes, be sure to pick one that right for you. 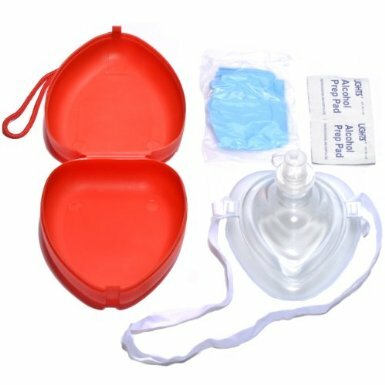 A pocket mask, or pocket face mask or CPR mask, is a device used to safely deliver rescue breaths during a cardiac arrest or respiratory arrest. The pocket mask is a small device that can be carried on one’s person. Air is administered to the patient when the emergency responder exhales through a one-way filter valve. Modern pocket masks have either a built in one-way valve or an attachable, disposable filter to protect the emergency responder from the patient’s potentially infectious bodily substances, such as vomit or blood. Many masks also have a built-in oxygen intake tube, allowing for administration of 50-60% oxygen. Without being hooked up to an external line, exhaled air from the provider can still provide sufficient oxygen to live, up to 16%. Earth’s atmosphere consists of approximately 21% oxygen. 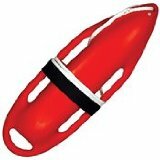 A rescue buoy or rescue tube is a piece of lifesaving equipment used in water rescue. This flotation device can help support the victim’s and rescuer’s weight to make a rescue easier. 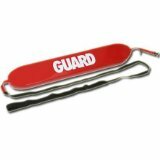 It is an essential part of the equipment that must be carried by lifeguards. It further can act as a mark of authority, identifying an individual as a lifeguard. A rescue buoy, also called a Burnside buoy, or can. The rescue tube is usually made of vinyl, and is buoyant enough to support the full weight of a rescuer and several victims. The tube has a long leash that the lifeguard wears around the body to tow the tube along while swimming a long distance. The rescue tube is usually red, but can come of a variety of colors. Rescue tubes often have the words “Guard” or “Lifeguard” printed on them. The tube may also have clips, so that it may be wrapped around a person. The rescue buoy or can today is a hollow plastic rescue flotation device. It is referred to also as a Torpedo Buoy, because of its shape; and is often called a “Torp” for short by lifeguards. Because of its rigidity, it is slightly more hazardous in surf conditions. However, the rescue buoy generally has more buoyancy than a rescue tube, allowing the rescuer to assist multiple victims. There are several colors and sizes available commercially. The rails, or sides, or the buoy have handles allowing victims to grab on. Like the tube, the buoy is connect by a rope to a strap the rescuer wears. This allows them to swim while towing the buoy and victim. The buoy may also be connected to a landline device, which allows individuals onshore to pull the rescuer and victims back to shore. Early versions were constructed of aluminum, wood, cork, and fiberglass, with rope rails. Foam rubber rescue tubes, located in main stations and rescue units, are ideal for rescuing single victims. The tube can be fastened around the victim’s torso, and is particularly effective in large surf, for rescues near piers or jetties, or for unconscious victims. The tube, because of its soft exterior, is also ideal for use on the rescue boats, also known as Baywatch, or when using a rescue board. The rescue tube is wrapped around the victim with the clasp behind the person. When used with an unconscious person, the lifeguard will secure the tube around the victim and use the cross chest method of swimming the person to shore. 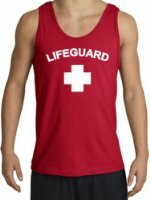 Be a recognizable Authority and cool at the same time with an official lifeguard tank top. Zinc is a must if you are out in the sun all day. Sun is good for you but out on the beach all day with the reflection of the white sand can be brutal. Be well protected all summer long with quality zinc sunblock. A lot of the West coast beaches can become cold and windy. Hoodies provide warmth and protection from the sun. 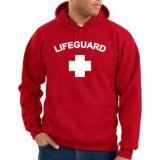 Lifeguards should always have a sweatshirt available in case it gets chilly.